Amber studied at Norwich City College where she achieved NVQ Level 2 and 3 Beauty Therapy. 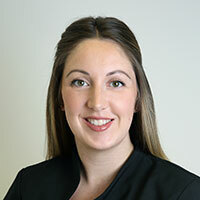 She then furthered her training and knowledge by completing her ‘Laser Core of Knowledge’ and practical assessments for all lasers that are offered here at the clinic. She became a spa therapist for Clarins where her love of products and skincare grew! Amber’s favourite treatment is Velashape (used to help improve cellulite) as the results are great and treating someone once a week you are able to see the stage by stage results. Amber also assists consultants Mr Beigi and Miss Murthy with their injectable and laser treatments.